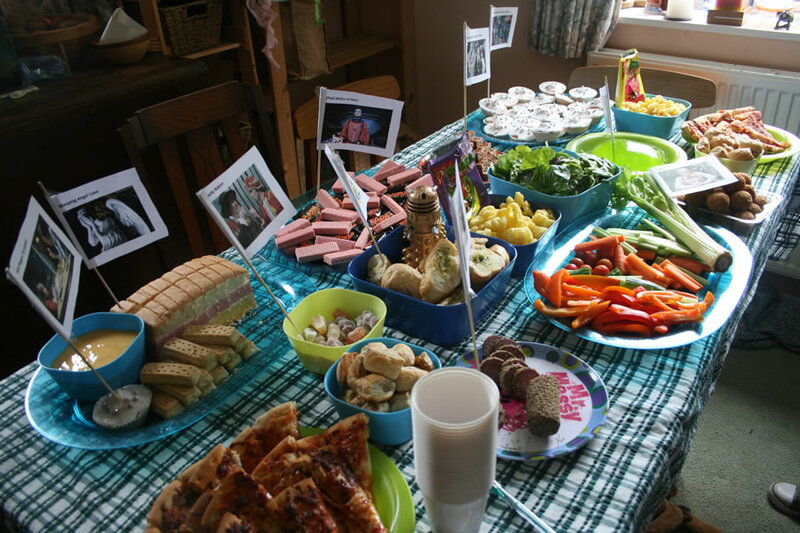 I wish somebody would hold a party like that for me! 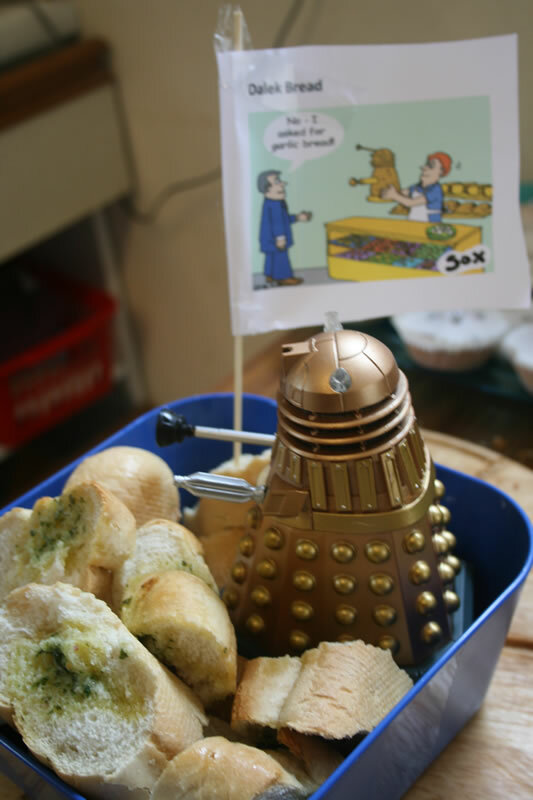 You get someone to do the cooking, Missus Tribble, and we’ll help you plan the menu! 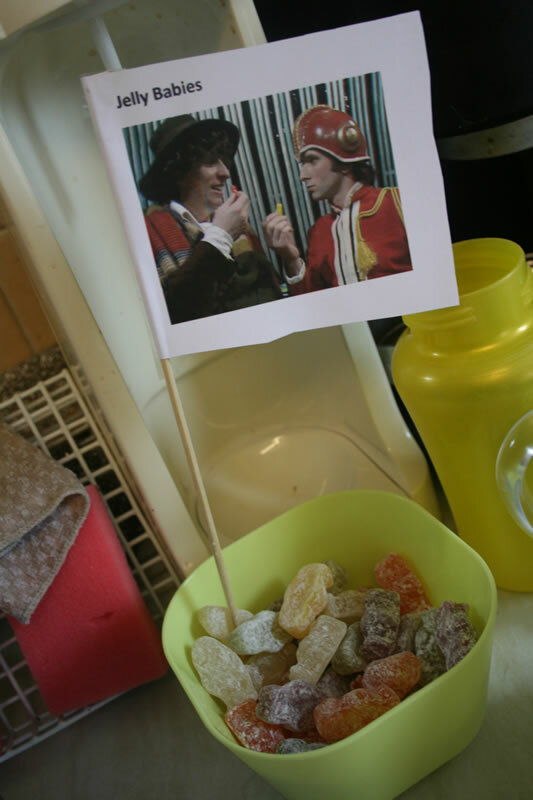 My husband is a wonderful cook, and his mother and stepfather would love a Who-themed party as much as I would – if given her way we would have had a Who-themed wedding reception! 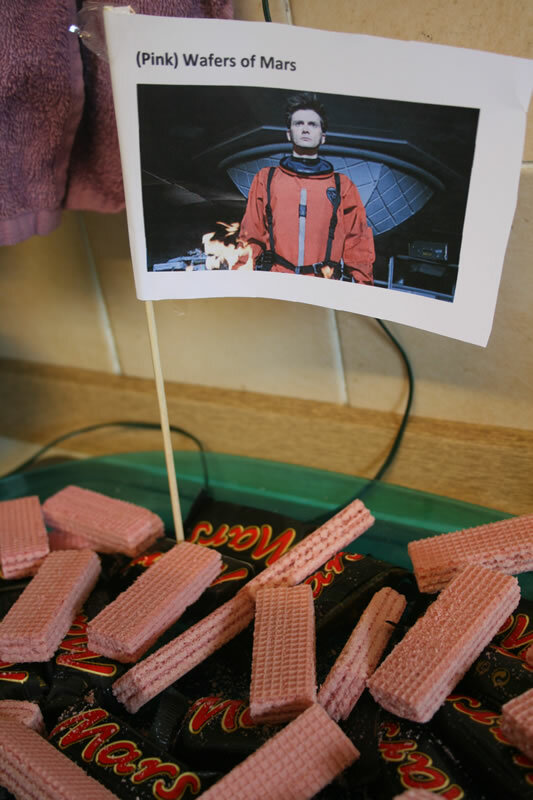 I liked the Pyramid of Mars Bar Crispies, but sad to see (going completely against my morals) that the fish didn’t make it. 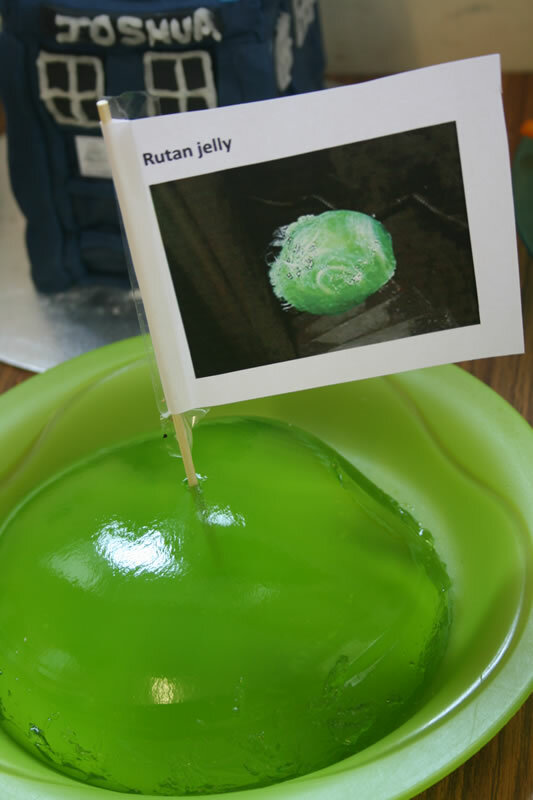 The celebrity appearance of the Rutan was inspired. Do you, by any chance, have the pics you used for the flags on a link or something? 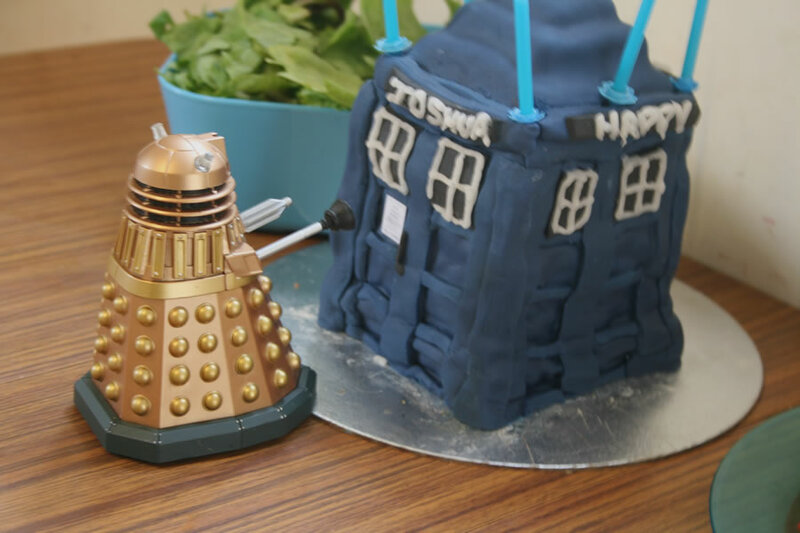 I’m throwing a Doctor Who party for my husband and those are great! You guys must be crazy fun parents! You should be able to download the file from there – let me know if not! This is absolutely fabulous. 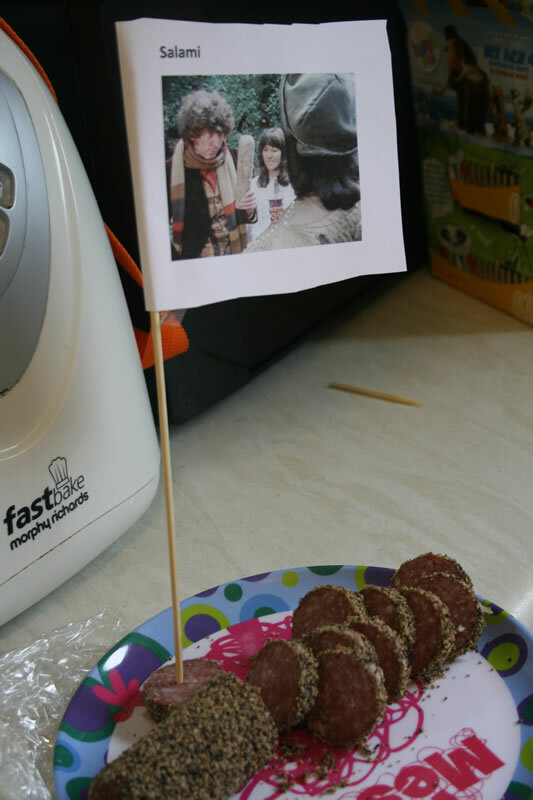 I’ve a friend who recently had a Doctor Who party for her child so I’ll send her this link. I wish I had your imagination! Thanks! 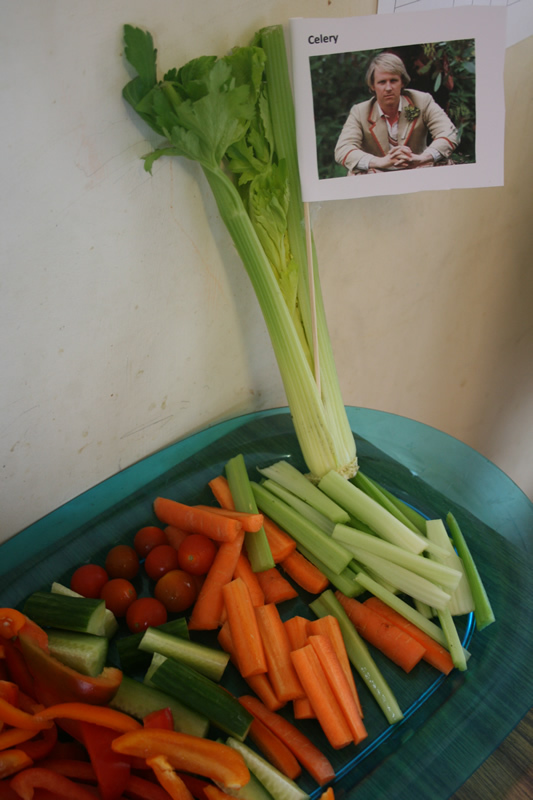 I am indebted to various other people for some of the ideas, but it was a lot of fun to put together…and he enjoyed it! 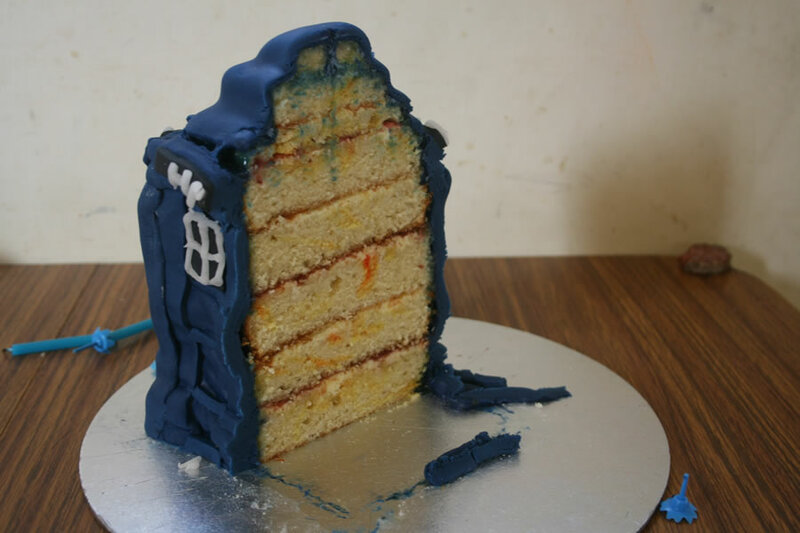 Can I ask what the weeping angel cake is? 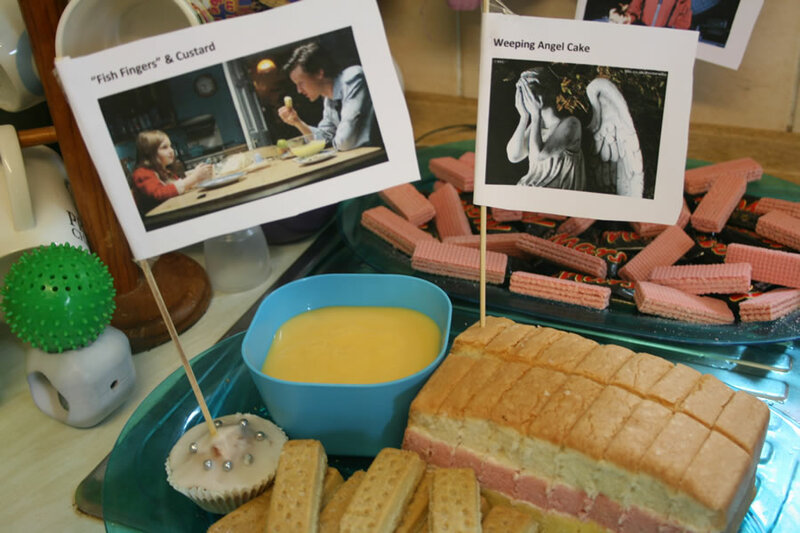 I can’t figure out if it is an angel food cake with a filling, or a ham sandwich (or maybe I’m completely wrong). Would you mind sharing? It’s Angel Cake – layers of sponge with cream in between each one. I do appreciate the ham sandwich similarity! Can I ask what recipe you used for the cake with ball bearings? 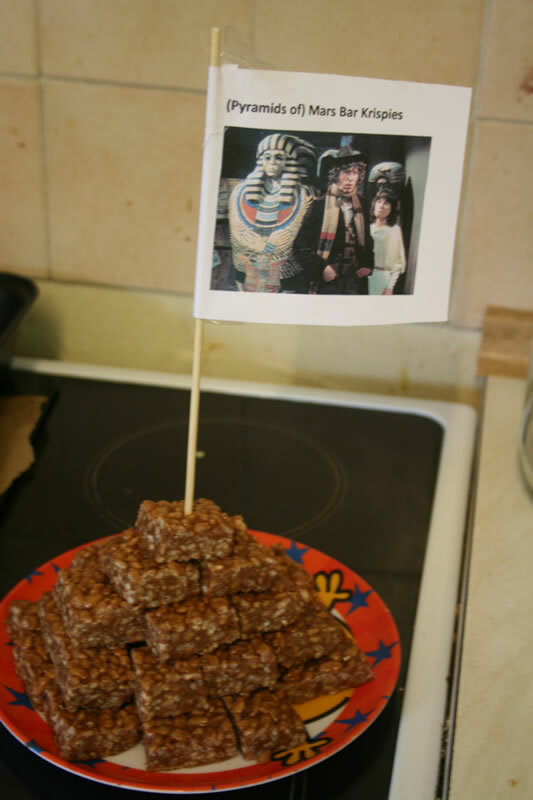 I completely forgot about that “Doctor Who food” and want to use it for my daughters birthday party this year. Thank you!!! 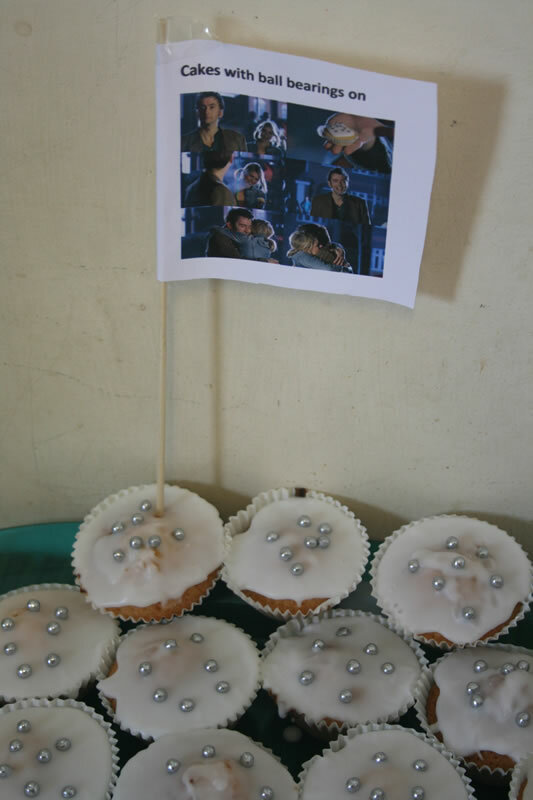 They are literally fairy cakes with icing and silver balls. Any fairy cake recipe will do – Nigella Lawson has a good one – and ditto for the icing. The ball bearings are known as silver pearls – we used Dr Oetker, I think, but they’re all much the same.